My cabinets are practically brand-new now. I don’t know how I can thank you enough. One of the most important areas of a home is the kitchen which is why you want your cabinets, countertops, and appliances to display a style that is uniquely you. If you are looking for a brand new kitchen or updating your old one there are various ways to obtain the style you want at an affordable price. You may want to opt for a non-sporous, smooth and durable finish which makes clean up a breeze. They are easy to maintain and don’t cost thousands to upgrade if you ever decide to change the look of your kitchen. As the premier name in cabinet painting and refinishing in Boynton Beach, Lantana and Palm Springs, we guarantee that you will get the perfect look that you want at a price that you can afford. The best thing about our products is the ability to change paint colors, faces and more in the near future. If you are ready for a change we can offer affordable options to give you that factory fresh look and feel of wood, Formica or other types of cabinets and countertops. We offer professional kitchen cabinet refinishing & painting services in Boynton Beach, Lantana and Palm Springs that will be easy to maintain and care for. 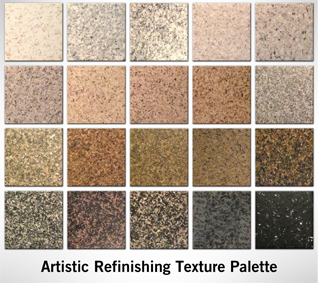 Our refinishing solutions are available in different colors. We invite you to call us to ask about the many possibilities available for your next refinishing project. 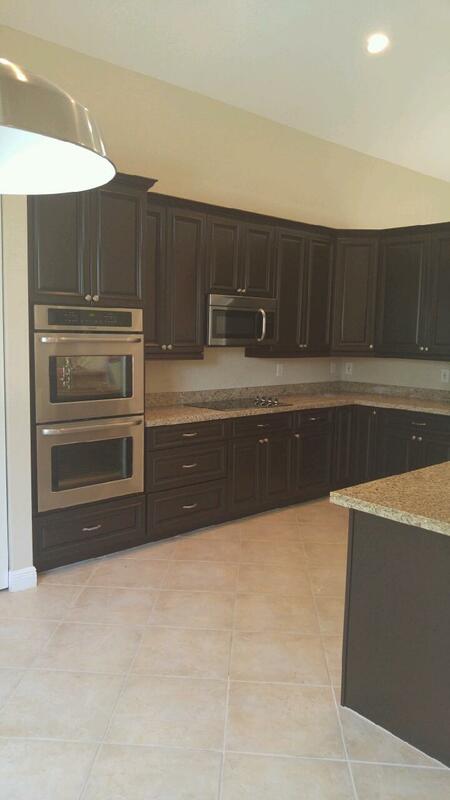 When it comes to kitchen cabinet painting & refinishing in Boynton Beach, you can rest assured that our experienced team will leave your cabinets looking like new. The resulting surface is resistant to wear and tear and is very easy to maintain! You’ll love your new look and appreciate how easy it is to care for even more! We can resurface your kitchen countertops regardless of the condition that they are in. That includes but not limited to those that are burned, chipped or stained and once we are finished they will look fantastic and best of all it will look as though you spent tons of money but in reality remained within an affordable budget. If you are looking to remodel your kitchen for your personal home, business or property we have the experience and know-how to ensure that you get the dream kitchen that you have always wanted without spending the money that other companies may charge. Regardless of the kitchen size or the changes needed we can help with all of your kitchen cabinet painting and refinishing needs! We can help you to design the look that you want and give you a quote of what the total cost would be for everything from start to finish. Take a look at some of our samples to see just how polished the final designs are for kitchens we have done for other clients. We take your needs, wants and budget and create the perfect solution that will leave you completely satisfied.